Bracket for the fuel pump to carburetor line for a 1965 Mustang with the 289 engine. Bracket should be painted black with the engine. 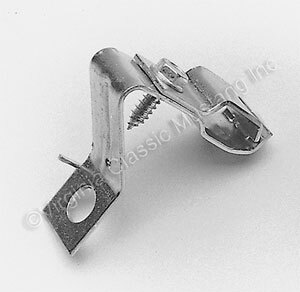 The spring clip on top remains clear zinc plated.